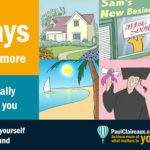 Home > Achieving more > Want advice from millionaires? 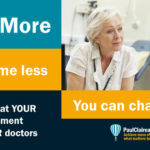 In this (quite ‘chunky’) Insight, we’ll explore the RISKS of relying on advice from millionaires. A while back, I met an ambitious young guy (let’s call him Mr K) who, it seems, has started and folded a few businesses. But he exuded an air of confidence – and what he told me prompted this Insight. I hope it saves other, ambitious people from falling into the same trap as Mr K.
What he said was that he only ever took advice from rich people. “Look”, he asserted, “I only take advice from people who are richer than me. To my mind, this statement revealed two things about Mr K.
But, more importantly, it demonstrated a naive and dangerous belief about the correlation between wealth and wisdom. We need to understand where someone’s wealth has come from before concluding that they were smart – or lucky – in acquiring it. Assuming that someone holds the secrets to the universe because they’ve got a few quid (or dollars) is silly. That said, I understand how Mr K has arrived at his idea. Now who would disagree with that? Of course, most of us would prefer fitness advice from someone who’s fit and walks (or runs or swims etc) their talk. But you’re not on this website to learn about fitness – and Mr K isn’t in the fitness business either. So, the question here is whether his philosophy will work when investing (or speculating with) your money? That philosophy could just as easily lose you a fortune as make you one. What matters, as ever on this stuff, is the context and we’ll explore different contexts in a moment. If we need to lose some weight – then we know how to make progress in that direction. It’s simple. We need to exercise to burn off more calories than we consume in our food and drink. Our desired outcome may be psychologically difficult to achieve – with all those ‘sweet treat’ temptations out there. And it’s a good idea to learn what good diet and exercise consists of. So, having a highly competent coach to educate (and encourage and cajole) can be very valuable. But, provided that we have the capacity to exercise and we do the right things, then a good result (of some kind) is guaranteed. We will get a positive result whether we start today, next year or in 5 years from now. The start timing doesn’t change the fact that this ‘exercise and diet’ game gives positive results. Unfortunately, when it comes to investing, things are very different. Your outcome from investing is not guaranteed. It depends on a whole host of variables – some of which are completely beyond your control. And it can be downright dangerous if you’re trying to ‘trade’ securities in the very short term which, as I’ve said, is exactly what ‘Mr K’ claims he can teach. The simple fact is that, to varying degrees ‘luck and timing’ play a part in all of these activities. Anyone who has seriously invested in themselves – in their own business – will know this already. When you start a business with your own capital, you’re taking an enormous risk. And, despite what some gurus will tell you – there are no golden rules for success. You can, of course, find dozens of FREE workshops or online webinars that promise to teach you how to become a business person – or an acclaimed author – or both! “Selling the dream” is a big industry now. But, as you might know, these FREE workshops come with risks attached. Mostly, they’re about trying to sell you into some kind of ‘mastery’ programme. And, that’s where they aim to part you from your money – big time. Some of the ticket prices for these ‘programmes’ are simply eye-watering. So, I wouldn’t recommend that you rush out to attend them all – regardless of who the course leader is . . .
You can easily burn through £100,000 of hard-earned cash just by attending a handful of these events. Indeed, I know someone who’s done exactly that! If you want to start a business – or up your game at one you already run – why not try some less costly options for improving your performance. High cost events do not always deliver high value. If you want personal coaching help then that’s going to cost some money so you need to be careful who you choose for your coach. More ideas on that here. But why not start with some general ideas and information for improving your businesses. There’s some super useful information available out there for free. You just need to know where to look. Here’s a starter for 55! Or for UK start ups – try this information site. Over the next few weeks, I’m going to share 15 proven ideas to help you check the ‘marketing state’ of your business propositions. You could also go to the FREE workshops run by some of the banks. Natwest for example runs something called Entrepreneurial Spark in which they offer tons of valuable information and support for business start-ups and scale ups. Yes, I know, the banks have been the ‘bad boys’ in the past. But they know it and some are repairing their brands (and regaining the public’s trust) after their mistakes of the past. But what about those millionaires? Well, most super successful entrepreneurs (whether it’s Steve Jobs, Anita Roddick, Richard Branson or any other) have at least one book you can read for ideas on how they “made it big”. You just need to remember one thing. None of us can engineer our lives to repeat the success of these people in any way – regardless of how hard we study their books or listen to their online advice. If it was that easy – everyone would be doing it – and clearly, they don’t. The personal life experiences of these successful people are what gave them their ‘drive’ to achieve. Their experiences are unique to them. And that ‘uniqueness’ is a key point to remember about ourselves too. General information and tips are useful up to a point but we can only use other people’s ideas to the extent that they will ‘fit’ with our goals and our lifestyle preferences. Not everyone wants to work the 80 hour weeks – and there’s a lot of that going on, unseen, in the small business world. Tailoring your investments to your own ‘unique’ circumstances is also important. And it’s something I’ve talked about before here. Most (honest) superstars will admit that ‘luck’ played a part in their success. They can normally remember the ‘lucky’ turning point in their careers and, if they don’t, you can normally find a biography that reveals those ‘big break’ moments. This is not to say that we can’t glean valuable insights from some superstar entrepreneurs. Absolutely we can – and it’s interesting to see how their ideas overlap. Develop the specialist knowledge and skills you’ll need to be successful. Recruit an ‘A Team’ of support staff. Lead and motivate them effectively so that they want to help you drive your business. Again, you don’t even need to buy the book to find some of the greatest insights about this high achiever, for FREE, right here online. Here’s an example. In this video, Guy Kawasaki tells us what he learned from working over several years with Steve Jobs. I like all those ideas but my favourite is the one about value vs price. 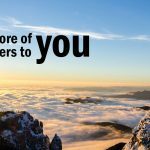 Is your service or product valuable? Is it easy to use, does it make people more productive and or save them money and or deliver an enjoyable experience? And how unique is it? Plot it on a 2 by 2 matrix (uniqueness and valuable) and aim for the upper RH corner. Steve Jobs is famous for talking about the need for passion – in the type of work you do. But you may not be aware that this is a much-misunderstood issue. The interesting thing, despite what Steve Jobs said, is that most people don’t need to ‘find their passion’ before they get going or become successful on their entrepreneurial (or Intrapreneurial) adventure. And I think that’s quite important to know. It turns out that, provided your business is based on an idea that will offer genuine customer value, you can develop a passion for your service as it builds over time. You don’t need to have it up front. Well, like everything on this site, the idea is based on solid evidence as you’ll see in this fascinating talk by Cal Newport. Passion is more of a ‘nice to have’ than an essential ‘starter’ for success. And Newport uses the example of Steve Jobs to make this very point. Take a look – it’s a good talk. This is not to argue against Steve Job’s point that passion is key to success. He clearly was passionate (some might say obsessed) about Apple and its products. It just seems that he didn’t have that passion before he got started. And a lot of budding entrepreneurs have no idea about what their passion will be – before they get started. So, I don’t think that we need to wait to find our passion before we get started either. Let’s just focus on delivering a valuable product or service to our customers. Two of the best pieces of advice on success – in general terms – that I’ve ever heard, come from people who had no interest in business or making fortunes. The first, from a guy called Bill Shankly, is about NOT letting your dream results dominate your thinking. And instead, focusing your efforts in the here and now. And he transformed them from an average second division team to one of the greatest football teams of all time. How did he get those players so focused on winning the game? “I simply tell them to focus on one thing – and that’s to . . .
make each pass of the ball – the best that they possibly can. If we can just make the effort to make each part of our day (whatever we’re working on – and whoever it’s with) as good as it can be . . .
then we’re assured of getting better results. 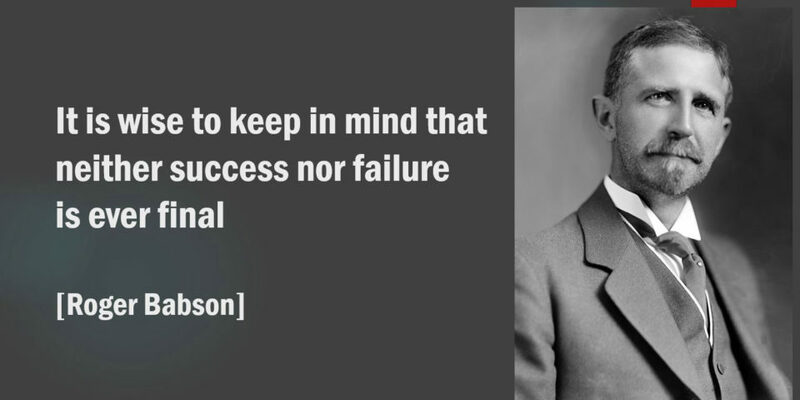 Churchill, was giving a talk to a group of school boys one day, when he announced that he could sum up the secret to success in just seven words. Then the crowded room fell silent. Churchill peered out, scanning the boys looking for reactions. But everyone sat there just waiting for something else – and wondering if the Prime Minister had lost his mind. ‘That was only three words!’ everyone said to themselves. Bill Shankly – wasn’t a multi-millionaire and nor was Churchill. Indeed, it’s well known that Churchill’s’ personal finances were a mess. But I think we can all take a lot of value from their FREE advice on achievement just the same. Now, some multi-millionaires don’t get involved in running businesses. They make their money by investing in real assets like property or shares – or a mix of the two. And if you’ve read any of the ‘smarter investment ideas’ on this site – you will know that you’re most certainly NOT guaranteed to make big money by trying to copy what these people did in the past. In fact, you couldn’t possibly copy them if you wanted to, because the opportunities that made them a lot of money have come and gone. So, it is not just for fun that the financial conduct authority (the FCA) here in the UK insist on the following warning being given on all investment product sales. The value of investments and the income from them, can go down as well as up. I guess you could, (if you have a few years of spare time) read a lot of books by ‘great fund managers’ and try to pick out the best bits of what helped them to success. But I’d question whether it’s worth the effort – unless your ambition is to become a fund manager. 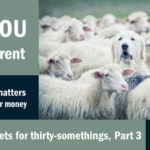 The vast majority of personal investors don’t ‘beat the market’ over time and (if you’re careful in your choice) you can get your money managed by a professional fund manager for little cost these days. You could even do away with fund managers altogether and simply buy a tracking fund – which would cost you even less. 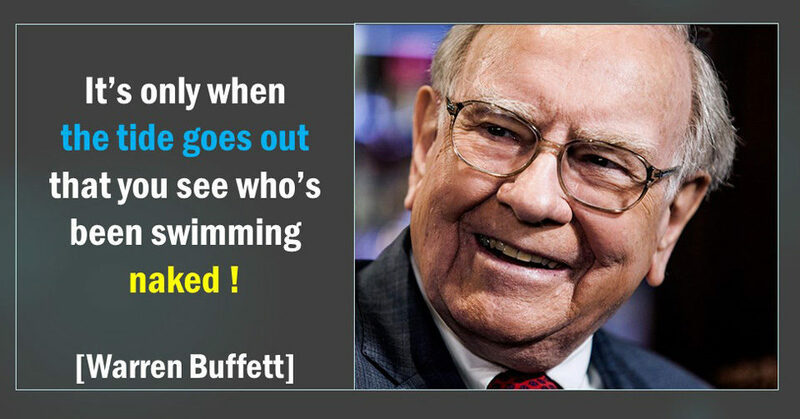 Indeed, advice to most private investors from Warren Buffet (who some would say is one of the world’s greatest ever investors) is to do just that – track the market. You just have decide which markets to track – and be aware that the lovely low cost of tracking funds does not make them a panacea investment. Timing of your entry to the markets – especially with a large proportion of your investable monies – remains a key risk, as we saw here. To bring this issue to life I want to turn the clock back a few years – to the time just before the last real property price crash in the UK. Imagine the year is 1989. You have no idea about the impending crash in house prices – they’re still booming in 1989. And you’ve just read a book on how easy it is to get rich quick by buying and flipping properties. Flipping is the practice of buying a property solely for the purpose of selling on at a profit as quickly as possible. Provided that prices are rising fast enough (to cover the costs of buying and selling and give the investor a profit) then each deal increases their capital in the bank – and thus the amount they can borrow to fund the next purchase or purchases. It’s a virtuous circle (or positive feedback loop) that can generate extraordinary profits when prices go ‘your way’ . . . upwards. The book you’ve just read said nothing about the current risks in the property market OR how much you might lose if prices fell by a little – or a lot. The book just assumed that house prices would rise for ever at a good steady rate. And, sadly that’s precisely what some property investing seminar leaders are still very happy to tell you today. These statements – and I’ve heard them made at ‘Rich Dad’ Property investment seminars – are grossly misleading – as I’ve described here. What’s worse is that today’s house prices are way higher (on a valuation basis) than they were in 1989. So the risks are even greater. Anyway, let’s assume that you don’t know anything about the risks so you’re fired up and ready to put your savings into this game. After all, you want to become a millionaire – just like the guy who wrote that book. So, you head off to the banks and building societies to find the best deals. And you finally land your first property – a flat in London’s docklands – for £200,000 using a mortgage of £180,000 plus your savings of £20,000. How do you think this will have turned out? Well, the residential property market in the UK (and especially in London) crashed from 1989. Prices fell in real terms – for 7 long years – and the initial fall was the steepest. 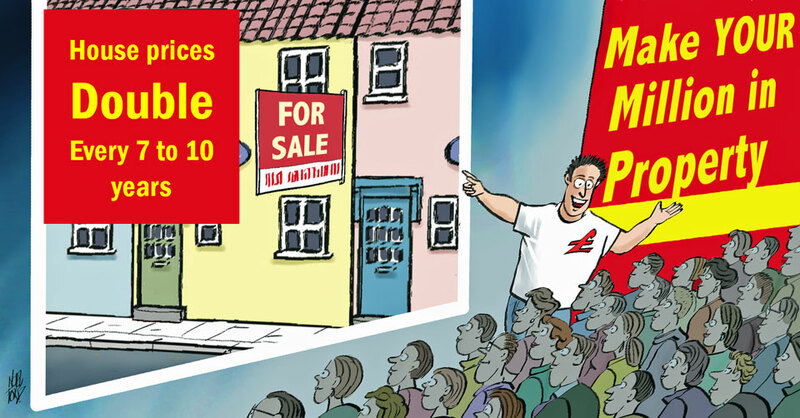 Your property value could well have been cut in half – to around £100,000 by 1992. Leaving you with a £100,000 asset and a £180,000 loan to pay off. This is what serious negative equity looks like. And that’s ignoring all the costs of buying the place. Trying to copy the millionaire would have destroyed your finances in this situation – and indeed for many it did. For some, who managed to find tenants willing to pay enough rent to cover their mortgage costs – they were able to ride out the storm – but it was a long and anxious ride. Here’s a picture of the various rates of return on the UK Stockmarket over the past 60 years. That’s the plain simple truth of the matter – whatever anyone else tells you. The good news is that there are ways to mitigate these timing risks. 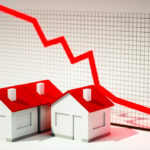 And whilst there is no precise way of knowing when markets will turn nasty – there is information available (for FREE) to give you clues of overvaluation in both property and stock markets. But you really do need to be careful who you follow. So, if you’re not doing so already – Join my Facebook Group for truly unbiased information and ideas. This site is about education pure and simple – we don’t sell financial products here. So, we have no interest in ‘spinning’ stories. 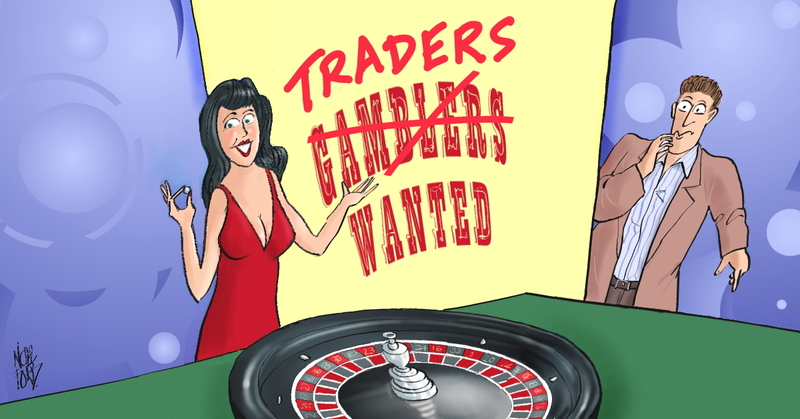 Well, the simplest advice I can you give about this ‘game’ (and it is a game – it’s proper name is spread betting) is to avoid it like the plague. Because by getting involved in this, you can easily lose everything you have – and more ! 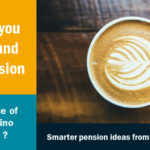 You might be thinking that’s not possible but, as we’ve just seen – you can lose a lot more than your deposit in property investing. You have very little chance of making money by speculating on the daily movements in asset prices, whether they’re shares or foreign currencies. 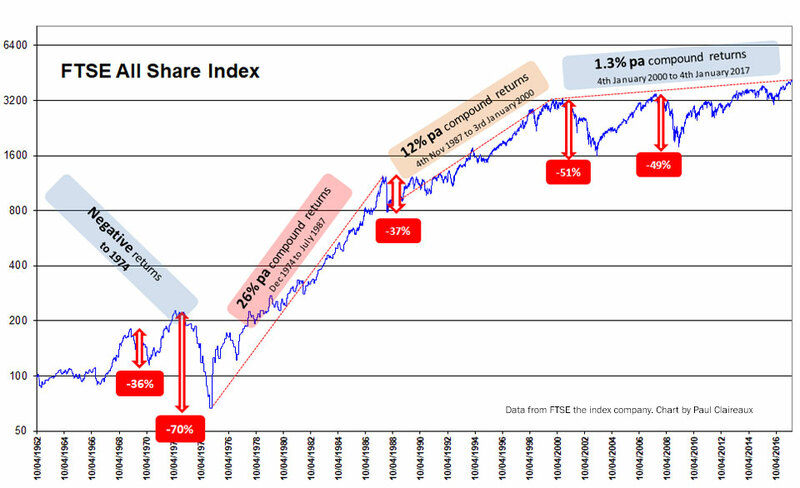 What most people don’t realise is that (provided you invest during a period of ‘reasonably’ valued markets – and that’s key as we saw in the chart above) then the largest part of your investment returns (over the long term) will come from your reinvested investment earnings, not from capital price movements in the shares or funds you hold. 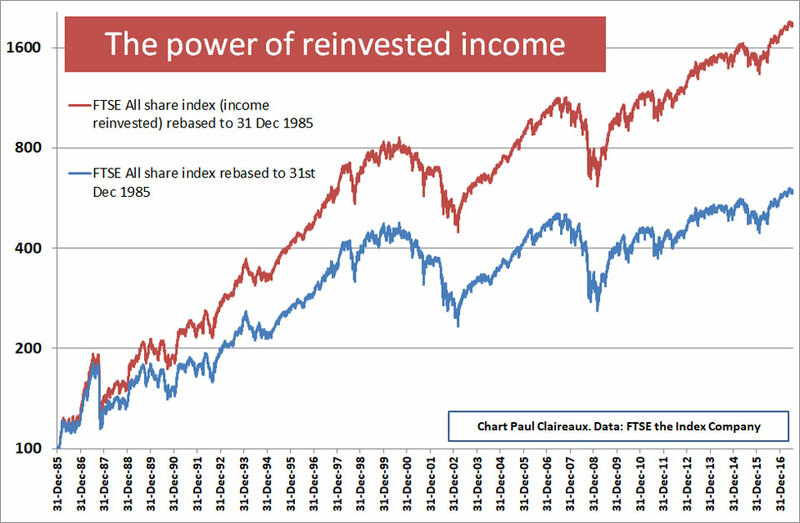 With reinvested income – the all share index produced more than twice the return of the capital index over this period. Did you know that the capital value (the price) of most markets and securities moves up on approximately 50% of days? There is no evidence that ordinary investors can make money by trading the price each day on the basis of ‘clues’ from charts. And no evidence of any reliable system to predict market price moves. It is true that a great many people are attracted to the idea that there might be money making ‘clues’ in the charts. Interpreting the shapes of asset price charts is rather like doing one of those ‘ink blot’ tests. You know, where you see a random splodge of ink and believe that you can see an animal or a person or a monster ! If you like optical illusions – steer clear of price chart reading – and try this amazing example. Our brains are naturally wired to look for familiar shapes and patterns regardless of whether they exist or not. As a result, the “charties” out there are constantly finding NEW shapes (or models) that they claim can help us to predict the movement of asset prices in the very short term. Of course, with so many models to choose from, this also means that you can invariably find another model that would have predicted a price move in completely the opposite direction too! So, there are no training courses that can reliably teach you how to predict short term movements in markets. If there was some way to predict a market move just by looking at the shape of a chart on a screen – then the big investment banks (with their superfast price links) would jump on (and price out) the anomaly before the price feeds reached your PC. You might as well take advice from someone who makes predictions by reading tea leaves. What’s going on here is something called survivorship bias. We only see the winners in games of chance. Imagine you’ve seen an advert for an ‘exclusive’ big night out, with a £1 million prize competition. The competition is to take place at a hotel in the city and will take up only one hour of your time. The advert says that no special skills are required, and that all entrants will have an equal chance of success. You have to pay a non-refundable entry fee of £1,000, in cash upfront. So, simply out of curiosity you decide to register for the competition – after all, you now know that you can opt out if you don’t like what you see. On the night, you’re greeted by a smart, professional-sounding (and attractive*) young lady who, as promised, escorts you straight to the competition hall with a dozen other new players for a view of proceedings. *The use of the word ‘attractive’ above may sound sexist but the fact is, gambling is more prevalent amongst young males than other groups in society, so the providers tend to use attractive young women in their promotional activities. You can see that the contestants are all happy enough. Most are smiling or laughing, some are cheering and everyone seems to be enjoying themselves. You lean forward to ask a group on a nearby table what they think of the game, and they all give a thumbs-up. So, satisfied with what you see, you return to the hotel reception with the other participants for the next game and you hand over your £1,000 cash entry fee. You’re then given a copy of the competition rules and two pieces of equipment: an old penny coin and a spring-loaded coin-flipping device (old penny coins are much more fun to flip than new pennies as they’re about three times as big). “This competition takes place as a series of rounds in which all contestants use the device to flip their penny coin. The results are recorded by the facilitators. Those whose coin comes up ‘heads’ continue on to the next round. The remaining contestants must leave the hall by the back door. There will be as many rounds as necessary to eliminate all but one last contestant, who will receive the £1 million prize. So now you know why everyone in that room was so happy. They were the only people left in the game! The losers had all been shuffled out of the back door, doubtless feeling pretty bad about their decision to bet £1,000 on the flip of a coin. They’d deliberately been kept away from you (in the hotel reception) whilst you made up your mind whether to play or not. Anyway, it’s too late to pull out now – you’re in the game. So, let’s think through how this game would play out – it’s simple enough to work out. If we assume that all the coins are perfectly balanced we’d expect a 50:50 chance of heads or tails on each throw. And, if the throws of the dice were distributed perfectly evenly on every occasion, we’d expect this game (with 1,024 contestants) to last for about ten rounds. There’d be 512 players remaining after round one, 256 after round two, 128 after round three, etc., all the way down to the last person. Of course, given the random outcomes from coin tossing, this game may last a bit longer – or finish a bit earlier – than ten rounds. Either way the organiser wins. Alternatively, if – as might be expected from time to time – the last few players in the final rounds of the game all throw a ‘tails’, then the organisers would make over £1 million. So, what do you think of that for a game? Perhaps you’re thinking that it’s a ridiculous story. No one would be stupid enough to take part in a game with such a high chance of losing his or her stake of £1,000. And I’d tend to agree with you IF the players knew and understood the odds of losing before starting the game. But remember, in this story, you didn’t know the chances of losing upfront. You were just told that there was a very real chance of winning £1 million from a £1,000 stake. And you were allowed to meet the ‘happy’ (surviving) players in the game before committing to play. Sounds just like ‘trader training’ if you ask me. So, please be careful and don’t believe (for one minute) that you can copy anyone to make millions. You might just lose your shirt – and more – if you try to do so. Okay but how about following Billionaires? Fancy stepping it up a level – and only following the billionaires? Quinn was an Irish businessman, and in 2008 he was the richest person in Ireland. The Sunday Times Rich List estimated his personal worth to be €4.722 billion (£3.73 billion). According to the BBC, between October 2005 and July 2007 Sean Quinn had built up a 28% stake in the former Anglo Irish Bank using CFDs (Spread betting for big boys) to gamble on the bank share price. And one might think that Mr Quinn (more than any of us) could afford to pay for the analysis he needed in order to make an intelligent bet on that bank’s share price. However, the bank share price collapsed just the same and his bet went horribly wrong. And the resulting losses were in large part responsible for Mr Quinn’s bankruptcy in January 2012. 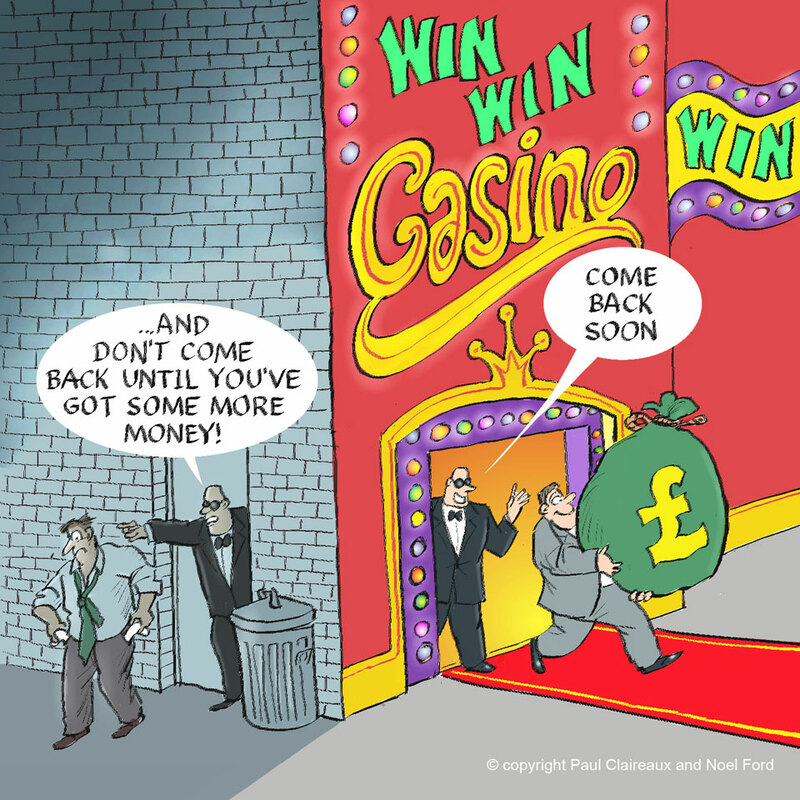 So it doesn’t matter how rich you are – you really can lose everything with this sort of gambling. So, take good care out there. And for smarter investment ideas – for your long term wealth – follow along here.